Crafted with Love for that special someone, the perfect enamel charm for your loved ones bracelet. 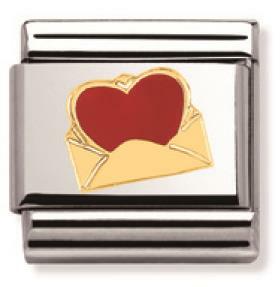 The 18ct gold envelope reveals an eye catching red enamel Love heart. Designed to fit all Classic Composable bracelets. Please quote code 030253-24 when enquiring about this charm.